Mary Ormston, community engagement officer at Karbon Homes, and Ian McRae, from Galley Youth, at the bus station. An arts and advice project run by Alnwick’s youth project and supported by a housing association is having a positive impact. Gallery Youth last summer received £13,000 from landlord Karbon Homes to extend its service to young people in Alnwick and the surrounding villages. Karbon Homes is one of the largest landlords in the Alnwick area managing more than 200 properties. Since October, it has successfully engaged more than 60 young people in activities such as arts projects, outreach work, drop-in sessions and focused workshops. Young people are encouraged to make positive lifestyle choices and can access advice on a range of issues such as education, employment, housing and relationships. One of the outcomes is the artwork that is displayed at the bus station in Alnwick. Young people worked with artist John Craggs on a project called The Bigger Picture where art boards have been displayed, encouraging young people to take ownership of the area. 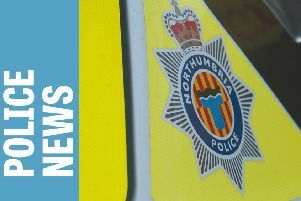 At its meeting in December, the Community Safety Partnership, which includes Northumbria Police, social workers, councillors and other professionals, reported that anti-social behaviour by young people in the area was at an all-time low. Mary Ormston, community engagement officer at Karbon Homes, said: “We are passionate about supporting our residents and improving the communities where they live.